Miss Vanjie’s meme-launching elimination in the first episode of season 10 of RuPaul’s Drag Race changed how fans exit a room. Not only did the Puerto Rican drag queen from the house of Mateo leave the runway, backwards, while chanting her own name, but RuPaul could not stop giggling when Michelle Visage kept whispering “Miss Vaaanjie” into her ear. 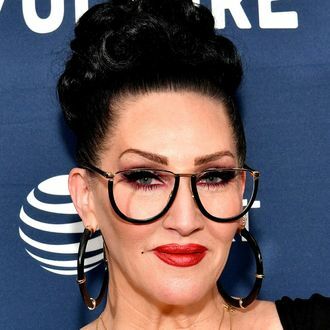 But when the iconic moment was brought up at the Drag Race panel at Vulture Festival Saturday, there was one panelist who revealed that she had been over the whole situation for a while — none other than Michelle Visage herself. She has heard the “Miss Vanj’” enough people! She even the plugged her ears as the entire audience recited “Misssss Vaaaanjie” together in a spiritual chant. Vanessa Vanjie Mateo loves the mass of Miss Vanjie memes but if you see Michelle Visage, it might be best to keep your Vanjie to yourself.